Investigators have court authorization to look into the Defence Ministry's hard drives. The Security Service of Ukraine (SBU) has found confidential files of the Defence Ministry on a flash memory stick seized from the editor in chief of the opposition news website Strana.ua, Ihor Huzhva. The SBU's main directorate in Kyiv and Kyiv Region opened a pre-trial investigation into disclosure of state secret, according to the court resolution dated 27 July. During a search of Strana.ua's editorial office on 22 June, police confiscated a Kingston flash memory stick signed "CN062806 5V 05360-307, А00LF", which contained files with information "which may include state secrets, which was stored on PC 18052 with hard drives Nos 1152, 1150 owned by a legal entity, the Ukrainian Defence Ministry," the court resolution reads. The court granted the SBU access to the Defence Ministry's PC and hard drives. Huzhva said that he had not received any secret information from the Defence Ministry and suggested that the memory stick was planted. 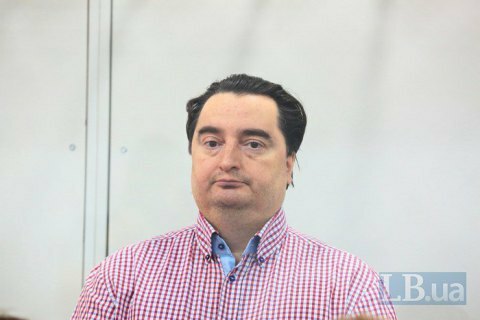 Huzhva is a suspect in the extortion case.